Whether you live in a large home or a small one, you may have come to the point where your precious possessions are possessing too much of your living space. The smaller the home, the greater a challenge it becomes to manage storage space without actually creating new space. 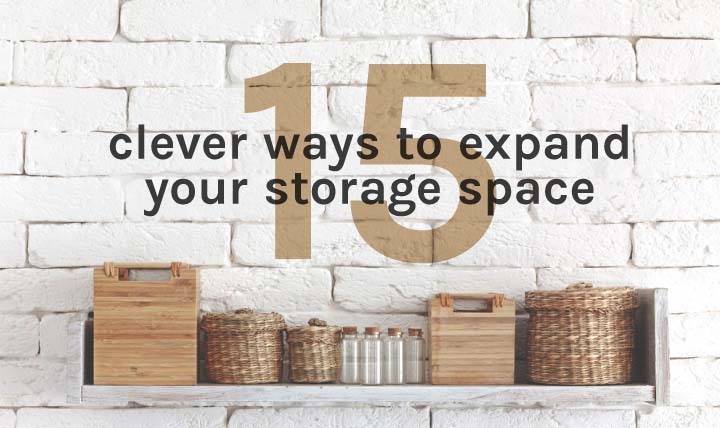 Here are 15 clever ways to create storage space in your home and take back your living space. And if there’s still more to store… call iCan!